Peppermint Krunch Candy Ice Cream Topping - 10 lb. 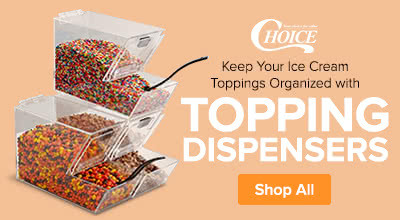 What is the best way to store baking chips & add ins / ice cream toppings? This product should be stored in a cool place away from direct sunlight and should be protected from moisture. Are there any allergens used in the facility that this item is processed in? Yes, they include peanut, almond, coconut, milk, wheat, soy, and egg. If one of these is not an ingredient in this product, it may still contain traces of one of these allergens. Make cool and creamy soft serve taste even more refreshing when you add this peppermint krunch candy ice cream topping to any cone or dish! Chopped into crunchy small bits, this topping features a vivid blend of candy cane red and white colors. Use it to garnish cupcakes with a Christmas theme or create cool and minty peppermint sundaes at your ice cream shop. You can even bake it into cookies and mix it into the cake batter of other holiday-themed baked treats. The invigorating taste of peppermint pairs well with chocolate. Whether you're using bits to top a frozen mocha, latte or a fresh cookie, the delightful peppermint krunch topping is sure to give anyone a reason to celebrate. This candy topping adds an extra crunch to any serving of ice cream and a refreshing peppermint flavor that's not too strong. Fun and eye-catching, this topping is a great addition to your bakery, ice cream shop, carnival concession stand, or frozen yogurt bar! Make sure your business always has enough on hand with this 10 lb. bulk supply. Overall User Rating: Peppermint Krunch Candy Ice Cream Topping - 10 lb. Perfect for dessert garnishing! Doesn’t stick to each other and great size for crushed pieces. Not too big and not too small where they are crumbs. 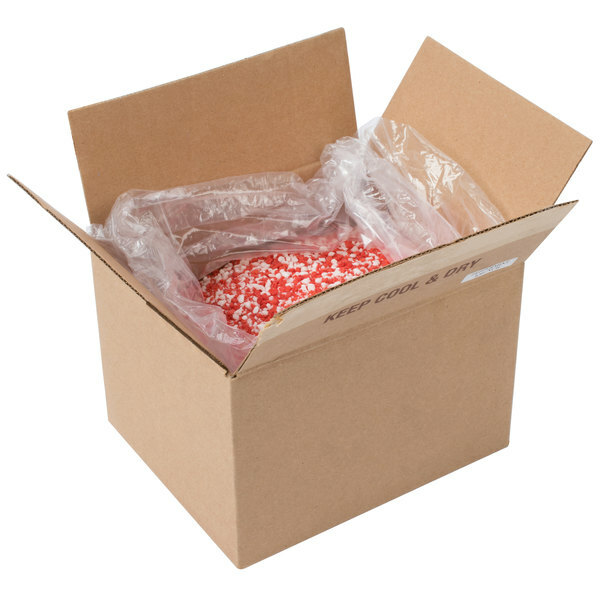 We buy a lot of peppermint candy for Christmas and we always come to Webstaurantstore.com for the lowest price. The product came in fresh and is great covered in chocolate. Very popular topping and high quality product. Our customers live this topping on our waffles. Great Taste and look very esthetic as well. Highly recommended for sure! These peppermint krunch candy toppings in my opinion are much easier to use than chopping up your own and they are really convenient. Not much dust and perfect chuncks. This is easily our most popular flavor for shakes during the holidays. Doesn't stick together at all and the price is cheap for how long 5lbs will go. this is awesome to put on top of drinks, like hot chocolate with whipped cream. but it does harden up if you let it sit. LOVE LOVE this product!!!! We use peppermint sprinkles during the holidays on our ice cream and house-made waffle cones. This peppermint is the perfect consistency and size. We've tried crushing peppermint ourselves and its very difficult and messy. Ordering these was a fantastic idea! 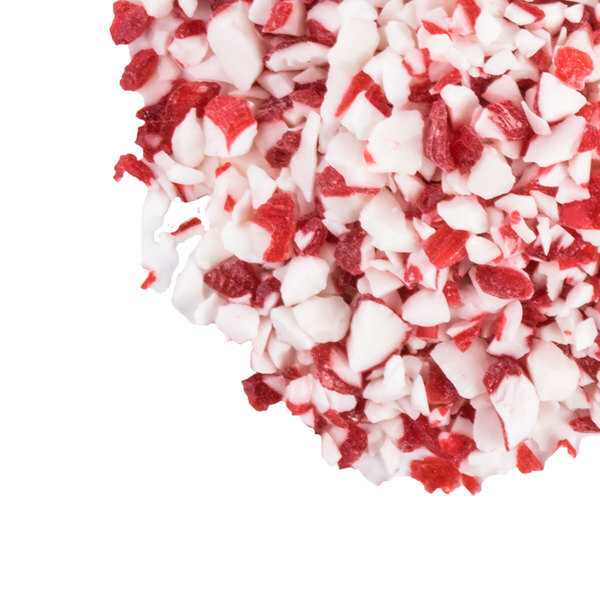 The peppermint Krunch candy is a great topping and especially popular during the holiday rush. A fun topping for our caramel apples and makes them very festive. 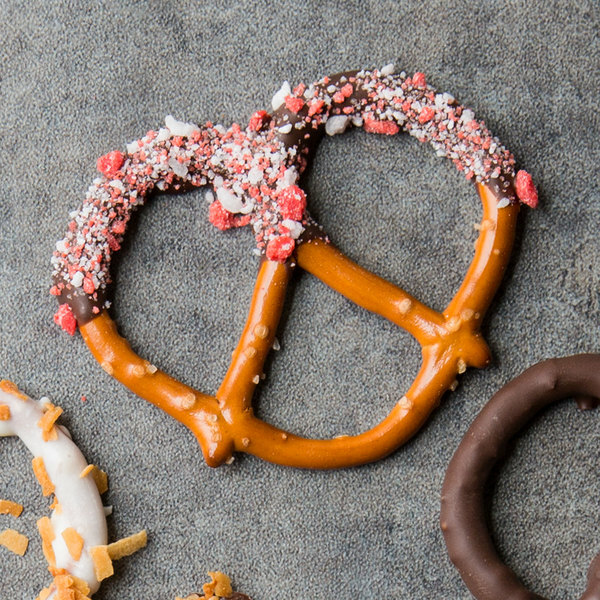 The peppermint krunch candy is a must during the holidays. Some folks look forward to us putting these out each year. They are very good quality and tastes so festive. I love the peppermint krunch candy topping. It is great yet it is also not overpowering. It is our most requested topping around the holidays. The peppermint krunch candy ice cream topping is great and makes for a festive addition to our holiday cookie supplies. They are also the perfect garnishment for our Christmas dipped strawberries. A wonderful topping for ice cream or frozen yogurt that everyone will enjoy. The peppermint krunch candy is perfect for making peppermint chocolate cookies and topping hot cocoa. Love having the peppermint crunch topping for our frozen yogurt bar and well as our hot chocolate bar, great versatile product, tastes fresh and crunchy! My savior! We make peppermint brownies for the holidays and these saved us a lot of time crushing peppermints for our brownies. Great taste! Just what we were looking for! I make blended coffees and I know most cafes make some sort of mint and mocha variation so I gave it a try using these. Since they were already crushed it was very convenient and worked great. They would be good for ice cream too. 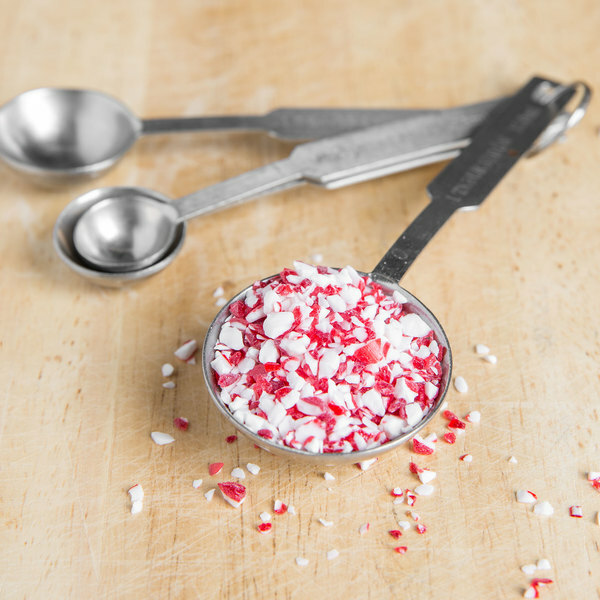 This Peppermint candy topping is fantastic! The flavor is great and it adds a nice crunch to any item. We use in an ice cream shop and love throwing these into shakes or as a topping on cones! This peppermint krunch is so delicious. I use to top cream homemade candy bars and cake. Yes I said cake. And it comes chopped up already. Which saves time and a big mess. We have been very happy with this peppermint crunch, it tastes great and looks so pretty on our desserts. It was very festive at Christmas. this is a great peppermint topping to be used in baking or as a topping on ice cream or cookies. Its a great flavor for the holidays! Peppermint Krunch Candy is great when added to cake batter it gives the cake a nice red flaked inside with a not to strong mint flavor. This peppermint krunch ice cream toping is great way to spice up your dessert than by adding peppermint flavored crunch candy. it's price is sold at a pretty goof rate.